Slide-based presentations can be very boring when the visual content presented is static, full of text or poor in color or layout. 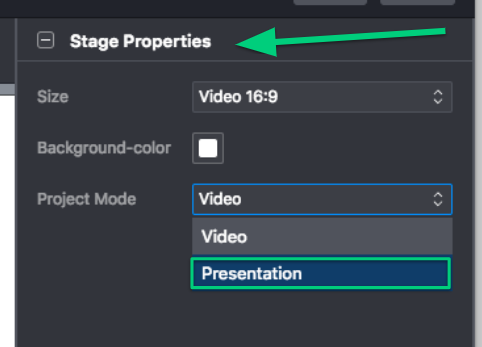 Moovly allows you to create video-based presentation, whereby every transition from one screen to another is simply a piece of video or animation that pauses automatically where you want it. 2. From there everything happens in the same way as creating any Moovly video: compose your content using library objects and time their appearance and animation using the Timeline. A pause point is represented as a small dot right above the Timeline. 4. 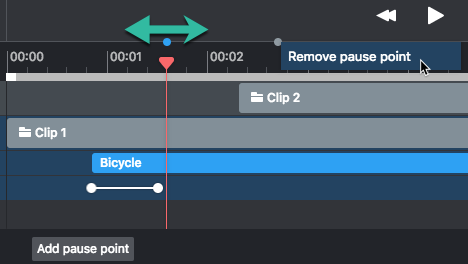 When pause points are present, your video playback will pause wherever such a pause point is present. Note: you will need to play your video presentation using the Moovly player, which will be included in your download. Other video players, such as Quicktime, Windows Media Player, YouTube etc... will ignore your pause points and just continue the video playback. 6. To use your project as a presentation, you will need to download it as a presentation (.zip) file. How to download a Moovly presentation? How to use a video presentation?